Most blogs focus on new year's resolutions in January. My world, the wedding world, is completely different. Come January 1st, my phone is ringing and my inbox is full with brides looking for a wedding planner. My evenings become quickly filled with consultations and bridal events. If you haven't been to a bridal event, then you are in for a treat. The events range in size from small to large and usually have a group of wedding vendors that love each other. The events can be complimentary although some do require a ticket. If there is a cost, then there usually is a great goodie bag! 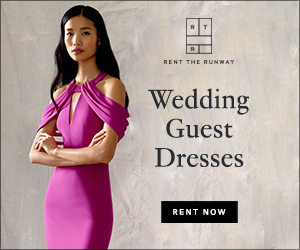 Another type of bridal event is a trunk show, which focus a dress designer (or for the event listed below, a veil and accessories designer) that will be having an event at a bridal salon. Trunk shows are great for two reasons: the complete line is usually available and there might be a discount or gift given with purchase. Bridal events, in general, are fabulous. Just stay away from expos. I'm talking about the huge bridal conventions where all of the vendors pay to get a table. They are not my cup of tea. 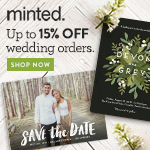 Below are two fun events from vendors that I adore. 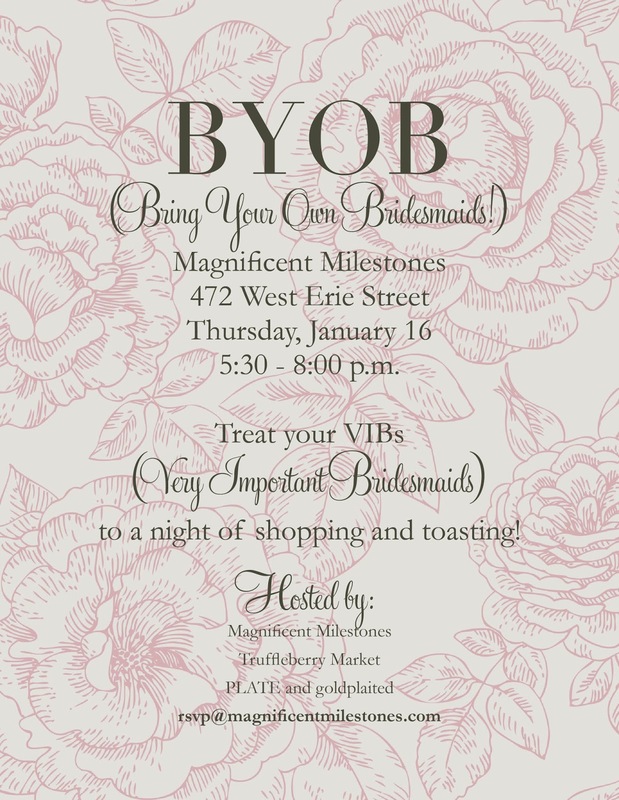 Magnificent Milestones is hosting BYOB: Bring Your Own Bridesmaids on Thursday, January 16th. Bella Bleu will be hosting a Sara Gabriel Trunk Show on Friday, January 17th and Saturday, January 18th. Bella Bleu is hosting a trunk show featuring. Sara Gabriel can create custom pieces to suit your individual style. 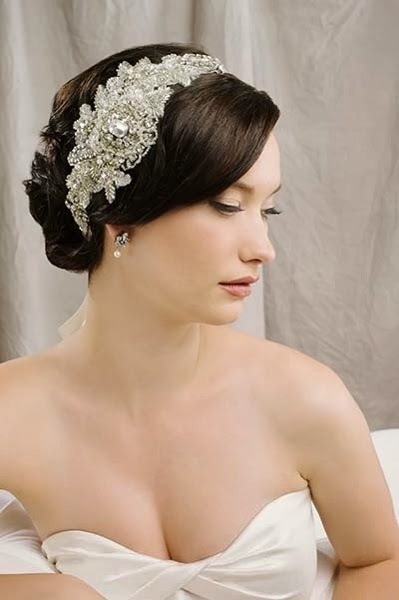 I love her headpieces because they are so intricate and detailed! Enjoy mimosas and sweets as well an additional 10% off your purchase at the trunk show. Set up an appointment with Bella Bleu in advance by calling 847.696.7152.